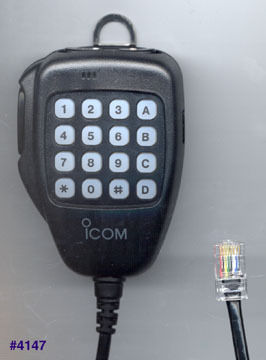 The Icom ID-1 1.2 GHz transceiver is a vital part of a D-STAR system, you won’t have to wait for a new repeater to be set-up in your area. This rugged little rig operates with current analog 1.2 GHz repeaters, plus simplex digital operation with another ID-1. Its operating frequency range is 1240-1300 MHz, with FM and GMSK (Digital) modulation formats. The ID-1 includes all the usual features that you expect - 105 alphanumeric memory channels, PLUS full PC control via the USB port (a black box 1.2 GHz radio!). Now for the fun part ... the ID-1 supports a 10BASE-T Ethernet cable for the 128k DATA operation! Both the USB and Ethernet connections are on the back panel. Explore the benefits of wireless high-speed integrated digital connections! Power can be set for 1 or 10 watts and tuning steps are: 5/6.25/10/12.5/20/25/50/100 kHz. 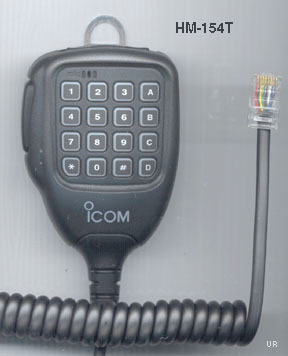 Your Icom ID-1 comes with: RC24 Remote Control head, SP-22 speaker, HM-118TN or HM-154T Hand mic, RS-ID1 Windows application CD and various hook ups and brackets. #4968 HM-154 Electret condenser hand mic with Up-Down.